In honor of the fast-approaching summer season, I decided to pick up a case of Vancouver Island’s Beachcomber! This, as it turns out, is the breweries latest release and a seasonal summer ale. In addition, it seems to be part of growing lineup of traditional craft beers produced by the good folks at VIB. Yes, much like many their competitors over at Lighthouse, and Granville Island Brewery (both of which are major BC breweries) VIB seems to be getting back into the craft brewing groove after years in the wilderness! And, as with these other breweries, it seems that seasonal and specialty beers are the means through which they intend to express this creative impulse. Smart, considering that occasional beers can and must be made in smaller quantities, affording attention to detail and more exacting standards. But I digress. Onto the beer! Overall, I found myself being reminded of Blanche de Chambly, another winner when it comes to the heffeweizen circuit! Much like its predecessor, it is a fitting summer ale that is well paired with bbq, corn on the cob and just about any other summery food, or enjoyed on its own while sitting on a shady patio! Put away your rain coats and snow suits, people! Summer’s here! Finally, I got around to picking up this Driftwood seasonal. These days, I’m not that big a fan of stouts, but that’s mainly because of the proliferation of them, most of which tend towards the higher gravity and bitter tasting. But alas, if I’m going to be picky (as opposed to snobby) I’m going to miss out on things! 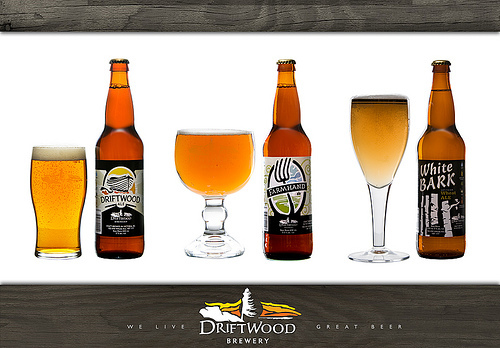 What’s more, I realized after doing a review of the Driftwood Brewery that there an exorbitant amount of seasonals and special releases which I have yet to review. This seemed like the perfect place to start. 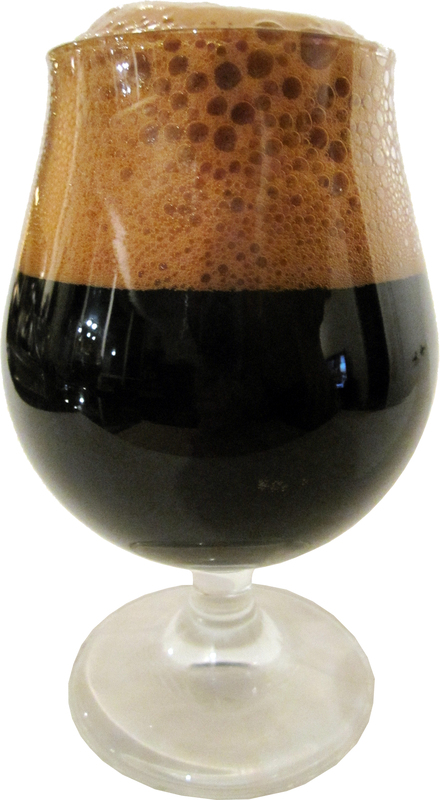 For starters, this beer is “Imperial”, which in the case of stout implies that it is a variety of strong stout that was made especially for export from London to the Russian royal court during the 18th century. At 11.8% alc/vol, this beer certainly fits into the strong category! Add to that the fact that they aged it in Bourbon barrels and you’ve got yourself a pretty interesting combination. 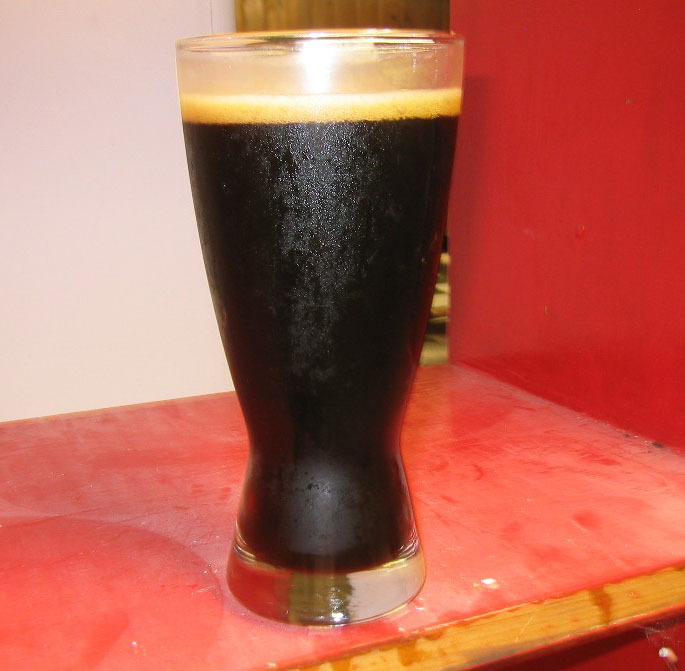 Appearance: Blacker than the inside of a cow, as advertised! I’ve found myself avoiding this beer in recent years. At least that’s the only rationale I could come up with for not having tried it. Maybe its because I’m a bit fan of IPA’s and this one’s a double. Too obvious! But as a fan of Tree brewing, particularly their Hop Head IPA, I knew that sooner or later I’d succumb. And as it turns out, that time was last night. 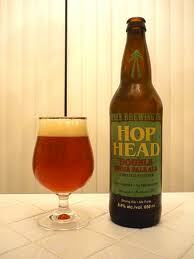 Hop Head Double IPA is a double-fermented IPA, combining five hop varieties with stronger alcohol content (8.4% alc/vol). In short, this beer is no slouch, and definitely not for those uninitiated with stronger, hoppy ales. The taste is definitely both strong and an acquired one, so make sure your taste buds have been primed with plenty of IPA’s in advance! Well, with the Captivator Doppelbock and now this, I am now half-way through Tree’s “Occasional Rarities” lineup and pretty pleased with what I’ve found. Next up, their Black IPA and Serendipity Ale. Wish me luck because these beers aren’t exactly light or forgiving! Last evening, I picked up Moon Under Water’s first specialty brew. The attendant in the store even congratulated for my good taste when he saw that it was part of my latest haul. 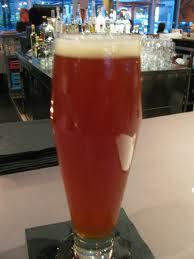 Named IRA (not to be confused with the radical separatist movement of Northern Ireland), it’s an India Red Ale, a dark, tasty, and multilayered number that combines the traditions of red ales and IPA’s. Once again, I am back with another review of a fine Victoria-based brewer. And much like Canoe Club, Swann’s and Spinnakers, this craft-brewer is located in a waterside pub that boasts a full line of beers, pub grub, and upscale entrees. 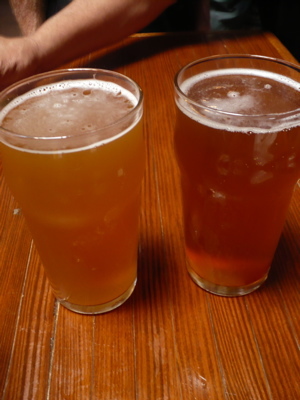 In terms of their beer, they specialize in “session ales” – beer that falls into the category of Bitters. Typically, these are beers that have lower gravity, alcohol and hop content, and are characteristically smooth and balanced. Upon my first tasting, I noticed that each beer in their regular lineup was possessed of the same smooth, clean taste and light finish. In addition, the alcohol content was consistently lower than what one would expect: ranging from 3.8 to 5.2% alc/vol. I was curious as to why this was, until I read up on their brewery’s mission statement and realized that this was in keeping with their commitment to sessions. Outside of the UK, sessions are somewhat rare, so it is certainly interesting to see this kind of experimentation going on right here in my own backyard. 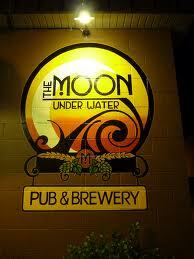 Located on Bay Street in the Gorge/Rock Bay area, Moon Under Water is a traditional English-style pub and brewery that boasts live music every Saturday night and where beer service happens at the bar! I for one want to check it out! It would be good to see how well their beer pairs with their food.